Beyoncé thinks that all people should have access to clean drinking water and through her nonprofit BEYGOOD4BURUNDI, she’s helping to advance that goal in the East African country of Burundi. On March 22, the fashion brand Gucci committed $1 million to BEYGOOD4BURUNDI through its charity arm Chime for Change, which Beyoncé helped co-found along with Salma Hayek Pinault, according to People. Gucci is also a partner of Global Citizen. The pledge will allow 80 wells to be built in the country, so that 120,000 people can have better access to clean water, People reports. And it will help BEYGOOD4BURUNDI get closer to its goal of bringing clean water to 360,000 girls and women in Burundi by 2020. Formed in 2017, the nonprofit has already constructed 35 wells in the country, according to its website. The nonprofit works with UNICEF to identify communities most in need, establish relationships with community leaders, and then build infrastructure. In addition to the wells, the nonprofit builds hand pumps, teaches people about hygiene, and improves sanitation facilities in schools, its website states. “Access to water is a fundamental right,” Beyoncé said at the time of the nonprofit’s forming. Throughout Burundi, only 60% of the population has access to clear drinking water and millions of people have to walk miles to fill containers with water from pits or other water sources and then walk back. Oftentimes, these water sources are not safe and can lead to waterborne illnesses like diarrhea, according to UNICEF. More than 50% of Burundi’s population is under the age of 18, and life expectancy in the country is currently 43 years old, one of the lowest levels in the world, largely because illnesses from contaminated water affect so many young people, UNICEF notes. The burden of collecting the water, meanwhile, often falls on girls and women and changing this dynamic is a main focus of Beyonce’s campaign. Because girls and women spend so much time getting water, they often miss out on school and other opportunities, which can set them up for early marriage, poverty, domestic violence, and other harms, UNICEF has found. Globally, 2.1 billion people lack access to clean drinking water, and 800 children under five die every day because of waterborne illnesses, according to UNICEF. Global Citizen campaigns for universal access to clean water and you can take action on this issue here. Efforts like BEYGOOD4BURUNDI are helping to end this crisis one well at a time. 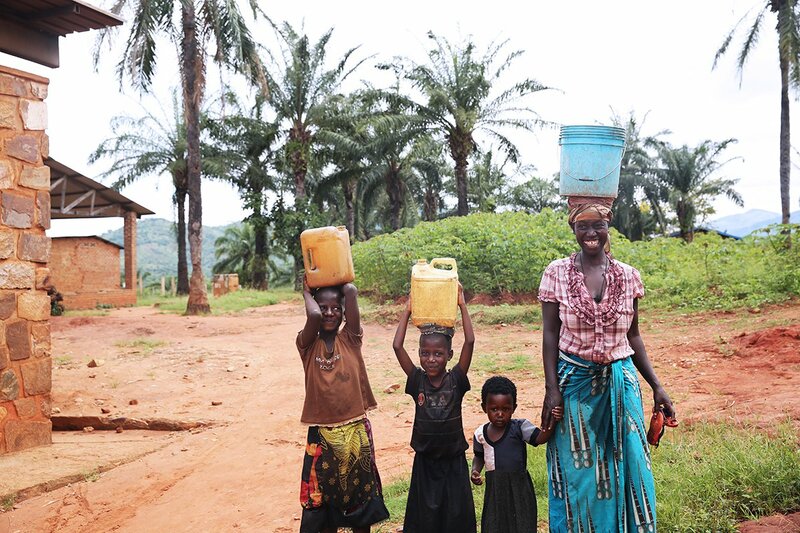 “In Burundi I saw myself, my sisters and my mother in the strength of the women and young sisters travelling miles to carry water for their families,” said Ivy McGregor, ‎director of Philanthropy and Corporate Relations at Parkwood Entertainment, in a press release. “Today young girls in the ‘Heart of Africa’ are given the gift of hope for a brighter tomorrow through our multi-year partnership with UNICEF and commitment to support safe water access solutions,” she added.